The Lifetime Healthcare family of companies. With the conscience of a non-profit health insurer. The responsibility of a financial administrator. The heart of a medical professional. The foresight of a long-term care insurer. We see the modern healthcare system in all of these ways every day. Insights shared between all of our company are used to develop and deliver more meaningful products and services. Working together, leadership at both companies designed an After Hours program that meets the needs of patients, primary care physicians, and the community. Univera members have access to urgent care from Lifetime professionals without an appointment. They get emergency room capabilities and convenience with doctor’s office copays. And their doctors get follow-up reporting the next day. When clinical administrators at GRHC work along side counterpart at Excellus BlueCross BlueShield, they are able to respond to the advances in medicine by introducing new protocols for treatment. Nurses from GRHC can then offer patients these therapies in the comfort of their own home—where it’s less expensive and a lot more comfortable. 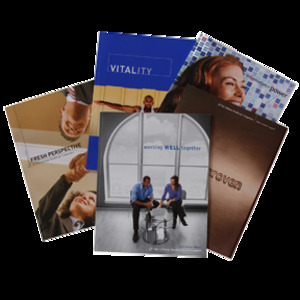 Offering Univera Healthcare’s portfolio of plans, SSA helps small businesses purchase self-funded health insurance for so much less than in the past, businesses can use the savings to offer group vision and dental coverage to employees. When employers combine the customizable product offerings of Univera Healthcare with the administrative support of EBS, they not only improve their own benefit management and reporting, employees participating in flexible spending accounts enjoy a significantly streamlined reimbursement process. MedAmerica and Excellus BlueCross BlueShield share one medical director for geriatric issues as well as numerous corporate goals—such as improving the quality of life for seniors. The result of their combined efforts is that health care professionals, regionally and nationally, are better educated about topics not easy to discuss, including elder abuse, pain management, advance care planning, palliative care and end-of-life care. To provide true one-stop shopping for risk management, RMSCO offers much more than health plans. When their customers need support with medical management, utilization review, behavioral management and case management, RMSCO draws upon the expertise of the employees of Excellus BlueCross BlueShield.